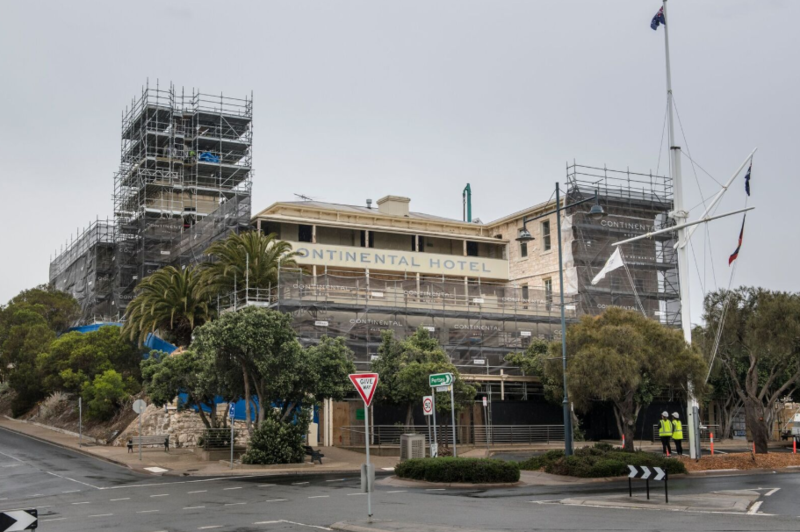 Melbourne's outer peninsula suburb of Sorrento will be witness to the $80 million-dollar revamp of the Continental Hotel launching in September 2019. The project will generate more than 200 jobs and is the most significant investment into Sorrento ever, set to feature luxury accommodation, wellness, recreation, entertainment and dining destinations. The project is being led by local developer Steller along with Julian Gerner of the Melbourne Pub Group. Artist Impression of the completed development. 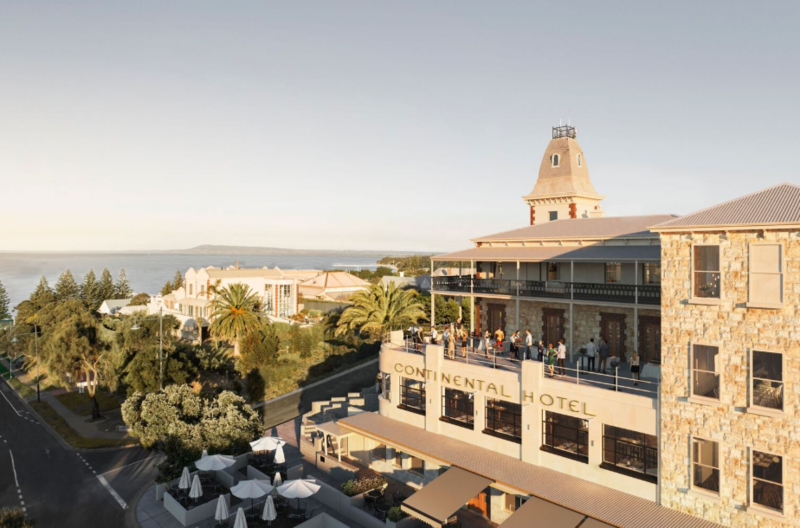 The redevelopment will include the restoration of the original 1875 Continental Hotel – restoring the limestone heritage trust building to its former glory. Six Degrees Architects will undertake the architectural and interior revitalisation of the heritage building, with architects Ewert Leaf working across the development and design of the proposed hotel and wellness components of the project. The current constuction site of the hotel. Melbourne developer Steller purchased the Continental Hotel last year and construction has recently commenced. The new offering will include a public bar and bistro, fine-dining restaurant and champagne bar, with stage one including dining establishments 1875 and Coppin’s Public Bar & Bistro, launching September 2019.